The uppermost portion of the main cake, before you get to the pillars, more tiers and the topper. This is an eight inch red velvet cake. 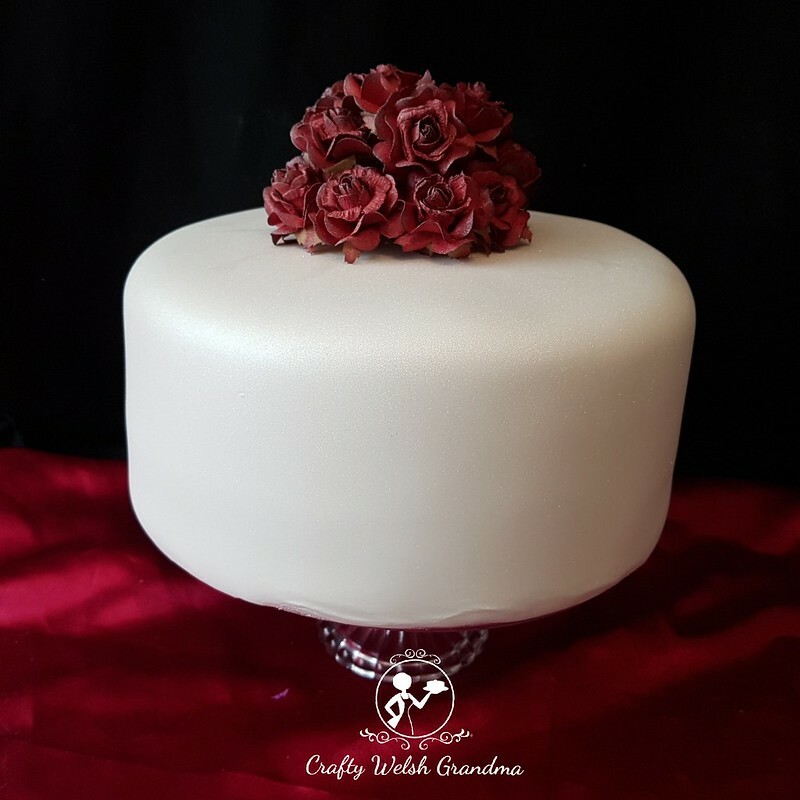 The only decoration that this will be traveling with is the handmade rose posy, which will nestle under the pillars when the cake decorations are completed at the wedding venue. 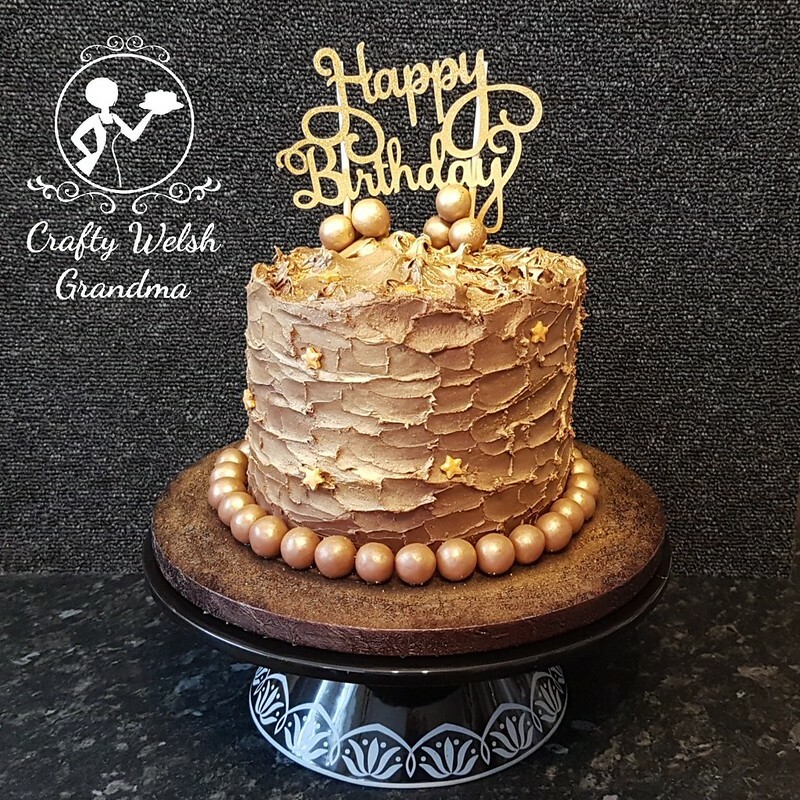 This tier will have four pillars with support rods reaching from the underside of the tier on top and down to the cake board that this cake sits on. The pillars hide these dowels, so all you see is the nice bits.